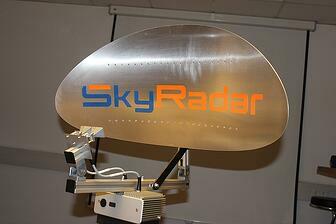 The SkyRadar PSR Pulse module is part of SkyRadar’s Radar Training System. 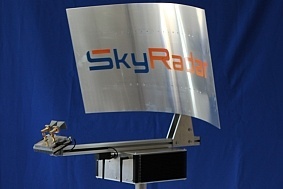 It is a technical extension of the SkyRadar PSR Module, technically generated within the systems signal generating hardware. The hardware is based on an CW radar, executable in the modes Pulsed Radar, Doppler, Constant Wave (CW) and Frequency Modulated Constant Wave (FMCW). One (1) License, allowing extension to the SKYRADAR PSR module. Default operation in the k-Band. Other bands (x-band) are optionally available. Antennae can be exchanged in plug-and play concept; see Figure 10. All measurements are performed in real time. No sub‐sampling or substitution techniques. Optimized for detection of real targets in a 3-dimensional space (see Chapter 5, including moveable targets (5.1), remote controlled vessels (5.2) or remote controlled aircrafts (5.3). No limiting target table or rail system required. Radar Cross Section (RCS) analysis allowing for an understanding of the varying detectability of objects based on material, absolute and relative size, reflection angle, distance and strength of the signal. Allows analyzing performance and false alarm tolerances. Possibility to add planar antennae (optional). Powerful radar image processor, see Table 1 and Figure 10. Adjustable decision threshold allowing for experiments on background noise. Wireless communication between Server and Radar element. Direct representation of Transmitted and Echo Signals in the time domain. Measurement Graph (Signal and Echo Representation in the time domain). Spectrum (frequency – amplitude representation). Possibility to run experiments from the verification of the radar equation up to complex radar experiments and analysis. Measurement of I and Q signals. Working with the complex Fast Fourier Transform (FFT) algorithm. Ranging of moving and stationary objects. Detection of direction angle of moving objects. Storage of signals for post processing workflows.